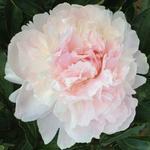 Full double, medium large flower, opens blush changing to white as it matures. 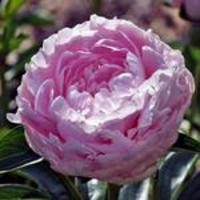 Attractive medium tall bush, strong stems, well clothed in foliage. 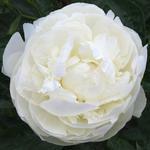 Exhibition quality flowers have excellent substance. Slight fragrance. 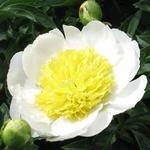 It is an outstanding garden variety with satisfying cut flower qualities.